At DreamBuilder® LIVE, my three-day signature event where I guide attendees through how to transform their dreams into reality, I often show a clip from a blockbuster Hollywood film called Dumb and Dumber to illustrate an important dream-building principal. Even though the film is a silly comedy, there’s one scene where Jim Carrey’s character, Lloyd Christmas, gives a great example of how to see past your current circumstances so that you can achieve your goals and create a life you truly love living. In the film, Lloyd is in love with the woman he’s speaking to in this clip, Mary. He’s hoping he has a chance at a future with her, and so he finally works up the courage to ask her the likelihood of the two of them becoming a couple. Rather than take this as the bad news that Mary intends for it to be, Lloyd is not deterred. Instead, he sees this “one in a million” as a window of possibility. He stills sees there’s a chance for him to achieve his goal of being with Mary. Like his character in this film, Jim Carrey was not daunted by the odds he faced in becoming a successful comedian and actor. Even though he was just a regular kid from Newmarket, Ontario, Canada, Jim believed there was a chance he could succeed in Hollywood. And so, he relocated to Los Angeles, California and pursued his dream. He created a clear mental image of the result he wanted, and he then wrote his dream down as specifically as possible. Crystal clear goal setting. Jim’s dream was to earn $10 million from a single film, so that he could support his family in the way he truly wanted to. So, he wrote himself a check for $10 million dollars for “services rendered as an actor,” and kept that check in his wallet for many years. 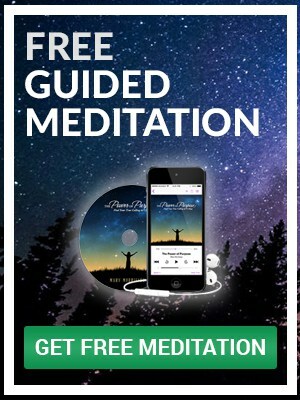 After setting what he called his “rocket of desire” into the Universe, he let it go and went about the business of taking action on his dream. Jim realized that life presents opportunities to you, but then it’s up to you to act on them to effectively achieve your goals. In his pursuit to become a successful actor, he leaned into every professional opportunity that came his way. After starring in the comedy, Ace Ventura: Pet Detective in 1994, Jim’s career ignited! And guess how much he was paid for his next starring role in the film, Dumb and Dumber, later that year? That’s right, $10 million! Jim shared with the graduating class that our job is not to figure out how our dreams are going to come to fruition, but rather to hold a clear vision for what we would love in our minds, and then be ready to walk through doorways of opportunity when they open. When you have a dream, and you clearly define it and pursue it with determination like Jim Carrey, you will be well on your way to achieving your own Hollywood ending! Are you ready to take your “one in a million” shot? I’m telling you there’s a chance! 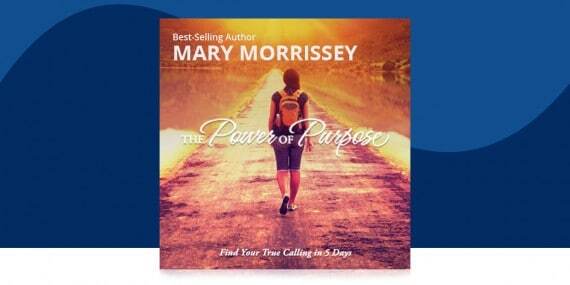 Find your calling in 5 days with The Power of Purpose™. Kindly keep on sending me . Thank you . More power and God bless !!????? This was a great example of not giving into fear or limitation. It’s the easier thing to do, to give up and drop the dream, but the reward will never be had. In fact, you only train yourself to keep taking that path of least resistance;giving up! Thanks Mary for this story about Jim Carrey! It’s a very good example!